It’s a bright Saturday in October, and I’m heading to east London to sample beers from two of my favourite modern breweries. My destination is The Experiment, a joint venture between Cornwall’s Verdant and London’s Pressure Drop. I hop onto the London Overground from Highbury and Islington, expecting a quiet trip along to Hackney Central. Little do I realise that two of London’s biggest football rivals – Tottenham and West Ham) are playing each other today. I’m quickly surrounded by a horde of football fans swigging beer (well, Fosters). The atmosphere is colourful, to say the least! We try to be reasonably family friendly here so I daren’t repeat the lyrics to some of the Tottenham fans’ songs. Needless to say, there are a few shocked looks on the faces of non-football fans as the train pulls up to Hackney Central. Guided by Google Maps, I look for the Experiment – and fortunately, it seems to be very close to the station. After getting my bearings I find the railway bridge, and follow it to what looks like a disused car park. A sign on the gate reads ‘Bohemia Place’. I’m in the right place. Like the famous breweries of the (decidedly dangerous if you drink too many DIPAs) Bermondsey Mile, The Experiment is housed in an old rail archway. 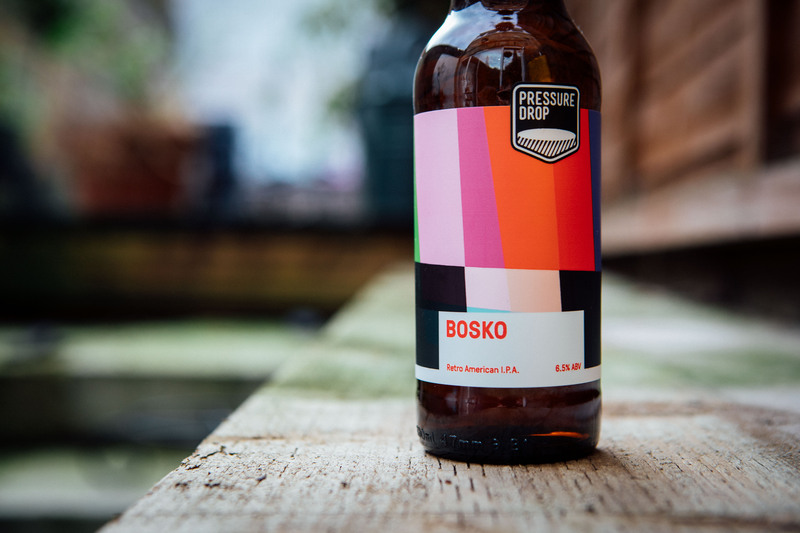 This one in particular used to be Pressure Drop’s brewery, before they expanded to a larger facility in Tottenham Hale. All of the archways are painted black, and I notice an intriguing covert-looking doorway in one. My imagination speculates on what’s inside as I see a flicker of red lights coming from the open door. Is it a secret speakeasy where you have to know an elaborate hand gesture to enter? Or perhaps a covert massage parlour? I don’t see any guilty-looking middle-aged men, so I look more closely. I’m only slightly disappointed to find out it’s just a little restaurant. That said, having food in close proximity to a tap room is always welcome! At the end of the courtyard I see the sign I’m looking for. The benches outside are full, and a low hum of chatter with a smattering of laughter filters out from inside. Although it’s only 2.30, The Experiment is already busy – a reassuring sight, amplified by the glasses of hazy beer that line the tables. While I’m deciding which of the ten beers on draft to sample first, I notice how striking the bar is. The curved ceiling is lined with glistening white pipes, which reminds me of A Clockwork Orange’s Korova milk bar. Happily though, they’re serving delicious looking New England (NE) influenced hazy beer instead of amphetamine-laced milk. So, rather than indulge in the odd spot of ultraviolence, I decide instead to just have a quiet beer (or two) and read a book while enjoying the ambience. Boring I know. For a reasonably small taproom, the setup is impressive, as is the selection of beer. As well as the beers on draft there’s a fridge stacked full of Pressure Drop and Verdant’s finest. In 2018 I’ve developed a slight addiction to hazy NE-style IPAs, so Verdant are currently very high on my list. My first choice is a glass of their Photon Trails. 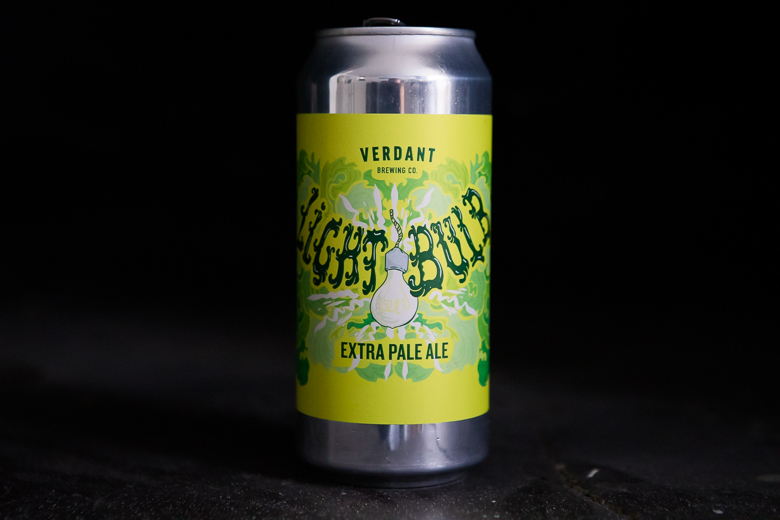 Verdant describe it as an ‘Amarillo, Azacca and Ekuanot-hopped pale, citrussy mango pale times’. The fruity aromas are the first thing that hit me. The taste is what I’ve grown to expect from Cornwall’s finest brewery (sorry Tribute). It’s smooth, with lots of different tropical fruit flavours, and a long, feisty finish. And, like amphetamine laced milk (or so I’ve heard), it’s very moreish. It doesn’t take me very long to drink this rather delicious pale, so I move onto my next choice. Verdant’s Rustling Substance is a more citrus-based pale ale, which contains lemons, limes, mandarin, clementine and orange juice. One of the things I love about unfiltered beer is its unique look, and the Rustling Substance really nails the ‘looks like you’re drinking Tropicana’ vibe. It tastes zesty and sharp, but it’s also very smooth and tangy with a dry, gentle finish. It’s superb. Looking around the taproom, it looks like I’m not the only one enjoying myself with the splendid beer. There are gaggles of fellow beer enthusiasts who seem to be doing the same. Unusually, they are largely clean-shaven and sans-tattoos. For once, my beardless face isn’t the anomaly! For my last beer I go for Pressure Drop’s Partial Pressures, a DDH (double dry hopped) NE IPA. The ABV has gone up a notch for this choice. At 7.4% it’s definitely in the ‘halves not pints’ territory, especially as it’s mid-afternoon. Pressure Drop’s track record this year for the style has been truly excellent. One of my favourite memories of the year is sitting outside their Tottenham taproom in the sun drinking their Verdant NE IPA collaboration, The Experiment Requires That You Continue as France pulverised Argentina in the World Cup. Partial Pressures continues Pressure Drops’ form. Its description as a low bitterness dry-hopped juicy IPA ticks all my boxes when it comes to the style. 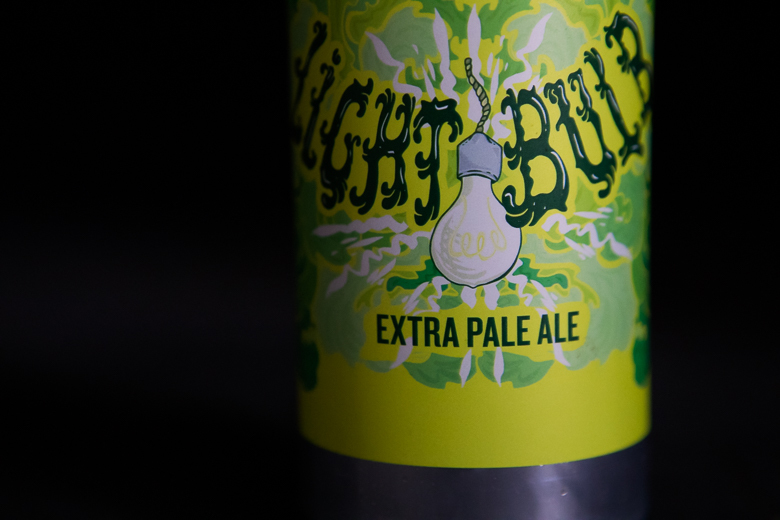 The extra ABV gives it a subtler kick than the Verdant pales, and compliments the lighter flavour superbly. Although it’s time for me to leave, I make one last trip to the bar – it’s time for take-out! I’m sorely tempted by the choice of glassware the Experiment are selling, but settle on some cans to accompany me home. One of the benefits of this taproom experience is the pricing. Beers range between £3.20 to £4.40 for 2/3rds. This is pleasantly refreshing given the mark-up that some bars place on craft beer in East London! The fridge is also reasonably priced, and there’s a discount if you’re taking them home with you. I ummm and ahhh over which ones to select before settling on a selection of Verdant cans, including some favourites (Bloom and Headband) and something new (Quiet Charge). Satisfied with my lunchtime outing, I leave with a smile on my face, a slightly heavier bag, and a slightly lighter wallet. I know too that it won’t be long before my next visit.